May God (Allah) accept your Hajj and congratulate u on preforming the Hajj and come back and also congratulate to your family and parents. Apko bohat bohat Hajj Mubarak Ho. 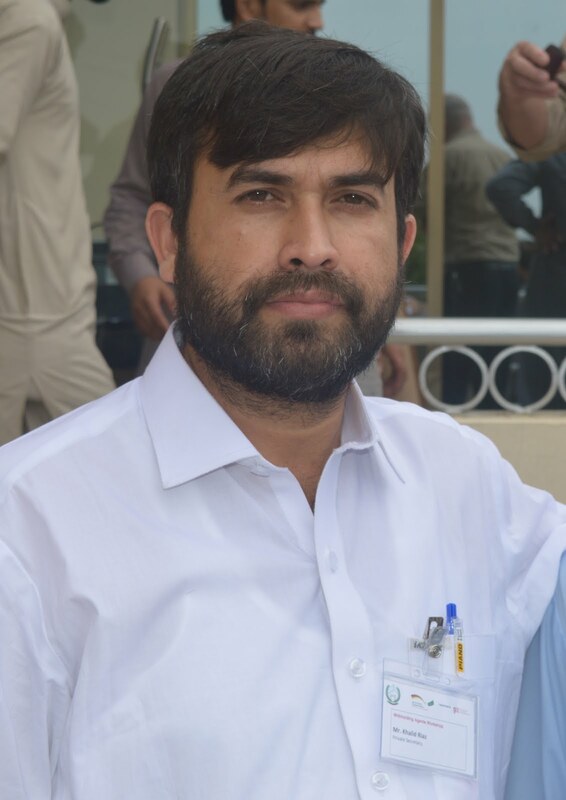 Dear Khalid Bhai Hajj mubarak ho. Welcome to your good honour to come back to our sweet home Pakistan after performing "Hajj". Aap ko Bohat Bohat Haj Mubarik. AOA, Naik khaishat ky sath Hajj mubarak. Allah ap ko aur ham sab ko sidhey rasty par chalay and aisi kai Hajain jaseeb kray Ameen summa Ameen. AOA,APKO,HAJI HONAIN KI BOOTH BOOTH MUBARK QABOOL HOO,APP OFFICE ATTEND KAR RAHAY HAIN,YAA HOME PER HAIN MUTALAA FARMA KAR MASHKOOR FARMAIN TAAKAY ,APP KAY PASS ASKOON PERSONALLY MUBARK DAINAIN KAYLIAY. Ap ko aur Ahle Khana ko Haji-e-Bait Ullah Mubarak Ho. Allah Talah apka Haj Qabook Kara and hum sub ko b Haj ki saadat ata farmaya. Aamin. First of all I congratulate Mr. Khalid Riaz for performing the sacred duty of Hajj. May Allah ACCEPT your Hajj. Secondly I want to ask Mr. Shafique Mughal about our pre-mature increment case which is pending in finance department, government of Punjab since June 2013. Please inform about this update. Meri aur tmam colleagues ki taraf se apko HAJJ ki sa'dat boht boht mubarak ho. Allah tmam sathio ko Hajj/UMRAH ki sa'dat se nawazney ki taufiq ata farmaye. Aameen. Aap ko Bohat Bohat Haj Mubarik. May Allah accept your Hajj. AOA,Deprived stenos ka kuch pata ni jab k baqi categories ko time scale mil chuka hay serf stenos baqi hain. Kia ka koi waris na hay.Khalid bhai ab in logon ki duain bhi lo ya in ko jawab do k ap apna khud kar lain, Kai dostoon k sms atay hain Khalid bhai sy prchain k kun deprived stenos ke time scale ni mil raha. Halan K PS kw 23.12.2011 sy usi O>M min mil gia tha. stenos ka kia qasoor hay. Please pehli fursat min is case ko take up krain. Once again my heartiest congratulations to you. Hajj Mubarak ho Khalid Sahib! The case of pre-mature increment is still pending in Finance Department and Secretary Finance still not sending the summary to Chief Minister for approval. 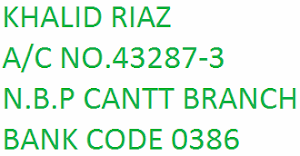 Attn: Mr. Khalid Riaz Esqr. What is the latest progress of case titled Nasir Husnain regarding upgradation of Selection Grade Stenographers before FST. HAY MUGHAL SB.HOW ARE YOU, FST IS UNFUNCTIONAL DUE TO NON AVAILABILITYOF CHAIRMAN. HENCE CASE IS PENDING TILL FURTHER ORDERS.I WOULD LIKE TO SAY AGAIN THAT PLEASE TRY TO PUT THIS THRUGH ELECTRONIC MEDIA OTHERWISE THIS BUREACURCY WILL NEVER GIVE US OUR RIGHT LIKE OTHER CATEGORIES OF EMPLOYEES. ALL THE CLARIFICATIONS IN THIS REGARDS ARE IN OUR FAVOUR, EVEN THEN CLEAR ORDERS FOR TIME SCALE FROM 23.12.2011 IS NOT ISSUED BY THE FINANCE DIVISION. Dear Chohan Sahib, some Stenographers holding Selection Grade in Faisalabad, Rajanpur, Bahawalpur etc. have filed compled before Provincial Ombudsman Punjab for upgradation of Stenographers w.e.f. 23.12.2011 and Ombudsman has sent the case to Secretary Finance Punjab for comments. Please pray for successful. Khalid sb. Salam and all of this forum. Dear brother, The whole APS get the benefits from BPS-15 to 16 and PS also get the same benefit but time scale has been fixed for only PS. Due to getting the same benefit i.e time scale promoted as PS from BPS-17 to BPS-19 but the APS is still in BPS-16 (only one scale up-gradation) and there is no further promotion in BPS-17. It is my humble request to Mr. Khalid, Please do something for APS for timescale so that they get scale BPS-16 to BPS-18 through time scale. This will be a benefits for all of us. Please do efforts because we have wasted much time and most of our APS is going to retire. thanks...... Time scale BPS-17 k liye upgradation date se kam az kam 3 saal tak intezar karna pare ga...... ta ke hamara case mature ho jai.... kiyon k hum 3 saal bad time scale 17 mang rahe hain. Reference STAR RICE November 7, 2013 at 12:41 AM comments .Time scale BPS-17 k liye upgradation date se kam az kam 3 saal tak intezar karna pare ga...... ta ke hamara case mature ho jai.... kiyon k hum 3 saal bad time scale 17 mang rahe hain. Agar pehly say mojod stenos in B-16 aur B-14 walon k leya time scale mang lia jay aur ho jay tu B-16 mn any waly nay stenos kw asani ho jay gi jonhi un ki service 3 saal ho gi un ko B-17 mil jay ga wana pher case karny sy mazeed waqat lagy ga. likn agar pehly walon k leya koshash na krny ka program hay to alaida bat hay. samajhdari ki bat yehi hay k 23.12.2011 sy hi B-17 man liajay ta k 3 saal mukamal hony pr sab ke mil jay. Thank you very much for giving latest information regarding pre-mature increment's case. Dear Chohan Sahib, some Stenographers holding Selection Grade in Faisalabad, Rajanpur, Bahawalpur etc. have filed compled before Provincial Ombudsman Punjab for upgradation of Stenographers w.e.f. 23.12.2011 and Ombudsman has sent the case to Secretary Finance Punjab for comments. Please pray for successful. Said Stenographers have arranged sufficient funds for filing writ petition before Lahore High Court, if they could not obtain success from Ombudsman. Dear Chohan Sahib, some Stenographers holding Selection Grade in Faisalabad, Rajanpur, Bahawalpur etc. have filed complaint before Provincial Ombudsman Punjab for upgradation of Stenographers w.e.f. 23.12.2011 and Ombudsman has sent the case to Secretary Finance Punjab for comments. Please pray for successful. Said Stenographers have arranged sufficient funds for filing writ petition before Lahore High Court, if they could not obtain success from Ombudsman. Said notification is only grant of premature increment but not upgradation in next scale, Stenographers holding selection grade since so many years and they are deserve for upgradation in next grade, e.g. a Junior Stenographer holding selection grade in BS15, he should be upgraded in BS16 as time scale and holding Selection Grade 16, he should be upgraded in BS17. These Stenographers are in the age of superannuation. Dear colleagues, on 23.12.2011 the PS already in B-17 have been given time scale one time and they granted B-18 having 3 years service, but the stenographers and stenotypist already in B-16 and B-14 have not given the same treatment which leads to descrimination/disparity.Pre-mature increment is also not given because, they were granted increment at the time whe they granted selection grade. whereas, selection grade was adjustment for seniors on the basis of a prescribed ratio, but the upgradation/promotion is a general orders for all incumbent of the upgraded posts. This clarification is also needed for those who are confused, by the CGA only because their accounts are direct nder CGA which are called departmentalized and under CGS. The Chief Accounts Officers are not ready to implement the orders of F.D. Or if any body has such clarificatgion issued by the CAO of any Department kindly put on the forum. What is the latest status of 20% special allowan pending with PM House. As per some Newspapers, Govt. has filed inter court appeal for review. According to previous record of this Govt.they will try to refuse to pay such allowance or keep it pending till new budget. May allah give them courage to help employees in these hard days where prices of commodites are flying to catch the sky due their wrong policies and mis-management. Time scale BPS-17 k liye upgradation date se kam az kam 3 saal tak intezar karna pare ga...... ta ke hamara case mature ho jai.... kiyon k hum 3 saal bad time scale 17 mang rahe hain. Agar deprived stenos k leya B-17as time scale is approved with 3 year's condition it will be useful for newly upgraded in B-16 when they jcomplete 3 years service. If the case is started after 3 years, it will take more time and delay in grant of B-17. So, it is suggested that deprived stenos case from 23.12.2011 may be taken up with the finance division as establishment division has no opojection for granting B-17 to deprived stenos. What is the current postion of """""""4 TIER FORMULA FOR PROMOTION OF ALL CIVIL SERVANTS OF FEDERAL GOVERNMENT, 4 TIER FORMULA FOR ALL CIVIL SERVANTS. CASE IN PROCESS"""""
Khalid bahi, salam and all of this forum, the KPK (high court) up-graded the superintendent from BPS-16-17 and before this the establishment division already given the suggestion/opinion to the M/o. Finance for up-gradation of BPS-16-17 of Supdt. Now, it is clear the in the whole the superintendent will get the BPS-16 to 17. I hope the M/o. Finance will issue the same to all province. On the other hand, in Education department time scale formula will introduced and every body specially clerical staffs get the same benefit and promoted from BPS-07 to BPS-16 (on basis of length of service). The supdt. will also get the benefit of BPS-16 to 17 but APS in hope for time scale of BPS-17. Through following example. We can get registered the writ in the Court. 3. Superintendent (time scale for completion of 5-years Service). Time scale is not allowed for APS. We should try and without delay to submit the writ in the Court/FST and to get the same benefit it will take 1-year. Please to do something for all. Our Prayers are with you. Very important point raised by our brother Mr. Munir Qureshi, in my opinion only APS are the victimized class who did not get their due share from up-gradation, instead of its actual demand of BS-18, they have been granted only BS-16 that too with no further promotion chances, we are entangled in a closed street now, it is painful but it is the brutal truth sir. Now we must set another goal for us and try to get at least time scale for APS at all costs and that too very briskly. Clerical cadre is consisting of those people who are less competent and despite their best efforts could not become PA/APS/PS but it is very strange that people who are less competent are getting benefits but on the other hand people who passed in their respective fields found themselves at the losing end, this practice need to be stopped sir. Another way to get BS-17 at a fast track is to try to restore the selection grade facility for APS, this way maximum of our brothers can go to BS-17. Another very important point is that recently computer allowance has been granted for teachers and technicians who work in Labs of education deptt, but despite I know sheer hard work of our great brother Mr. Khalid, the computer allowance has not so far been approved for APS who round the clock work on computers and nor the special PA @ Rs. 320/- per month has been enhanced for APS. I request our brother to kindly do excel its efforts to get our genuine rights, Mr. Khalid was the man who made it all possible but sorry to say that APS could not get their right share and instead our P.S have benefited the most. Hay colleagues, please read my comments dated 17.11.2013 above which exactly leads to our demand. If we succeed to get apprjoval for deprived stenos it will be easy to it's implementation towards newly upgraded stenos. We must not waid for completion of 3 years as statead by Khalid bhai. If we wait for 3 years then god forbad we lost our temper and courts and finance division will not listen to us and refused to give time scale with the single stroke of pen. then....will steno-typists have not right to upgrade? recently FPSC, upgraded their employees by the huge difference, but steno typist has just got 02 grade up..
How to download this Establishment Division's Letter No. 3-1/2006-T-V dated 21-09-2011.
incumbent would continue to be in lower grade. which their grade would be a dying cadre. long they hold the post and that would be a dying cadre. [Authority.- Education Division O.M.No.F.6-13/84-AD(Lib), dated 26-12-1985]. I am working in higher education department KPK as stenographer selection grade (BPS _15).now i have been upgraded to bps.16 but my department raised observation that selection grade could not be granted bps.16 and has remove the facility.Please provide documentary proof to claim our due right,. Thanks Khalid Bhai............for your kind information. AOA,KHALID RIAZ BHAI,APP,KOO HAJI HONAIN KI MUBARK KAY LIAY ANA THAA LIQAN BAWAJ AY DARD IN MY TWO SHOULDERS,MAIN APP KI KHIDMAT HAZAR NNA HOOSAKA,INSHALLAH MEDICINES KHATAM HONAIN KA Y BAD AAWOON GAA. AOA Raihan Bhai, shoulders ke kia ho gia kisi ko oper to ni bitha leya. Allah ap ko sehat dey. Care kia krain. Deprived case ka kuch ni hua selection grade to pre-mature increment ni mil rahi F.D ny clarification issue ki hay orders ni keyay. Un ko orders karny they magar ni hoy. I request to Mr. Khalid Riaz please registerred PA & Stenographers Association at Pakistan level and the meeting of all the provincial presidents may be convened to make the executive bodies at district level. After that a joint a solid agenda may be given to the Govt. by making all kind of sources. I am a little bit late but as said Der Amad Drust Amad. App ko Hajj ki bohat bohat mubarak ho. two years of up-gradation of post of APS, S/typist and time scale for PS/SPS (one time) is to be completed on 23.12.2013. Unfortunately the case of APS & S/typist is still at that stage which was two years back. We all are relying upon the decisions of the courts/tribunals which do not seem to be finalized in coming five years or more. We are sitting in Pakistan where preference is given to PERSONALITIES not to institutions, so any positive hope / favorable decision from courts/tribunals is mere a waste of time. The judiciary wanted to give favor to their some specific steno community and they gave them and by virtue of this, all steno community got the benefit of it otherwise, it was impossible to get the scale of 14, 16, 18 or 19. Now the courts have nothing to do with it and as such they are not serious. I am working in Senate/Parliament House and very well know the nature of such situations. The period of 2011-12 was of COURTS and at that time, what they wanted to do, they did it, but now they are not in such position. It is better and my suggestion that Establishment & Finance Divisions may be approached directly and efforts be made to convince them for time scale for steno community instead to waste the time and money with the courts. Moreover, National Assembly/Senate may also be approached by raising questions(s) for concerned Minister(s) to resolve our case. thanx for reply. your efforts with establishment div and finance are no doubt appreciable and surely admitted. I will try my best to do something in this regard. AA. Chauhan Bhai ke bat theek has where are you?. No one is submitting his comments. please carry on. AA. My request is to Mr. Shafique Mughal zida kamooshi achi bat nahi ha.